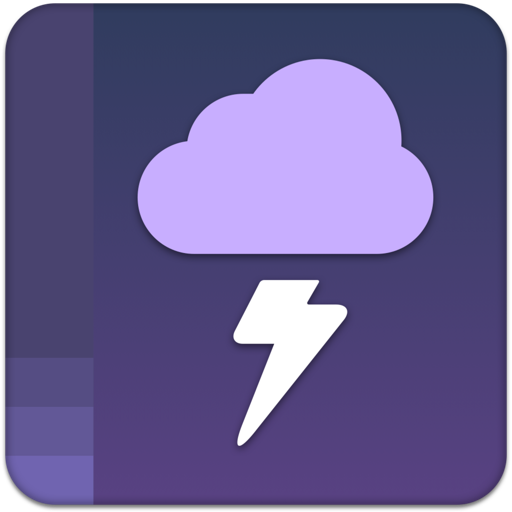 WeatherPlus is the best weather app for real-time weather alert and forecasts. This app is the most accurate way to get live weather statistics for any location. Search for your location from the search bar and instantly get basic weather information and forecast on a simple app layout. Users also have the option to pull up the app window from Status bar and quickly check the weather condition of a particular location. 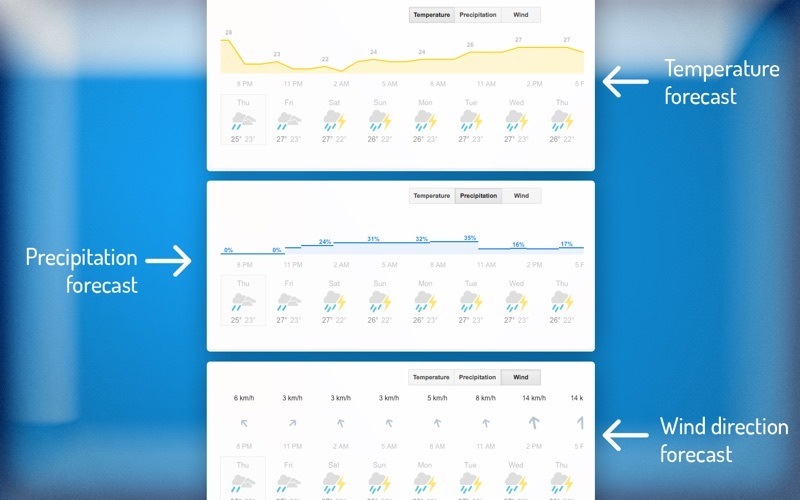 -Weather details and forecast are placed on a simple app layout which is easy to understand. -Open multiple windows and search for different location simultaneously. 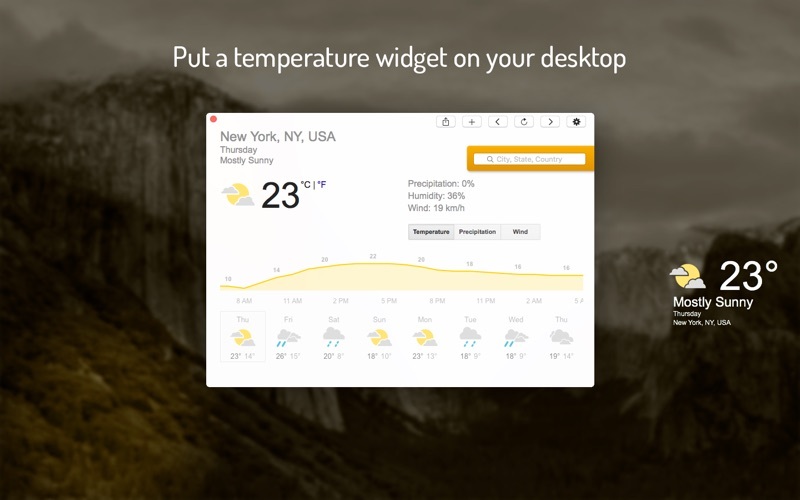 -Put a small desktop widget on the Desktop with basic weather stats and the name of the location on it. -Share your local weather stats via Facebook, Twitter and other popular social platforms directly from the app. -Find settings in app Preference to hide app icon from Dock. 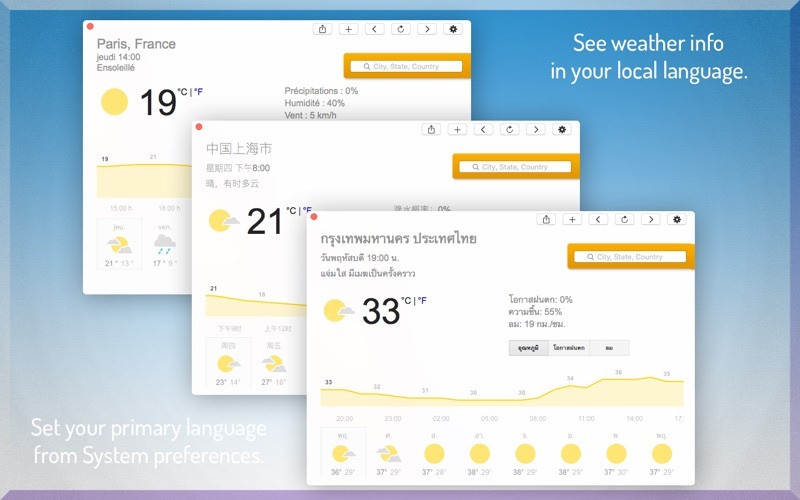 -See weather statistics in your local language. Just set the primary language to your local one and restart the app. 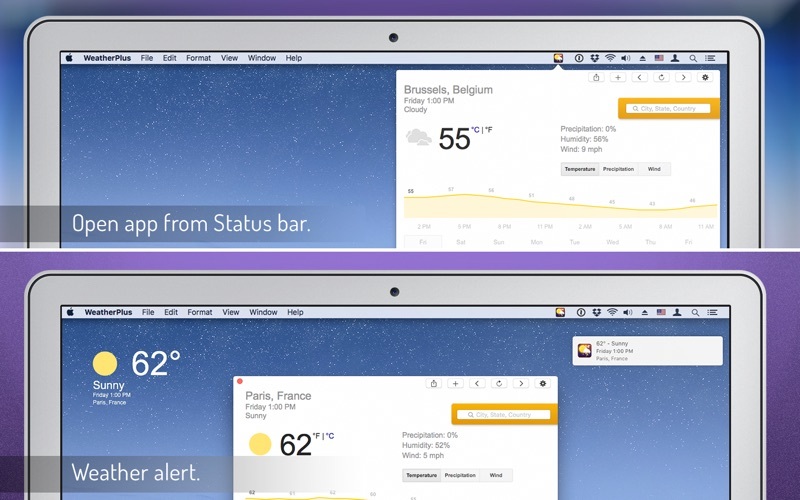 -Get alert in Notification Center each time app updates the weather info. 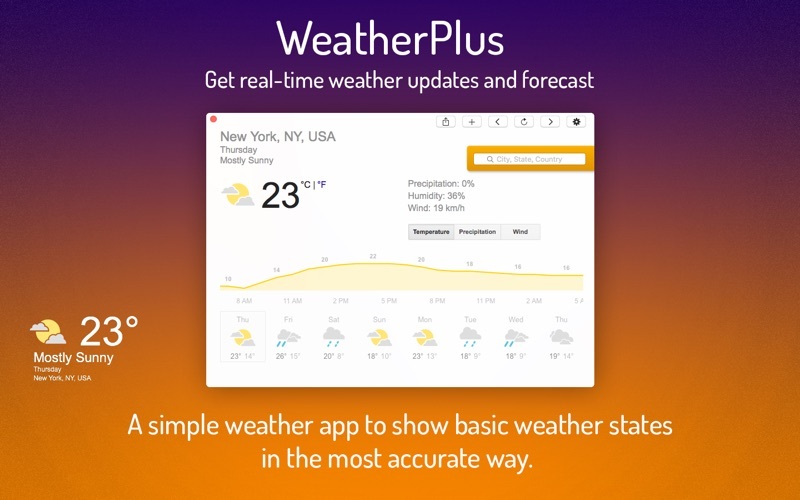 WeatherPlus is definitely going to be your go to app whenever you need to know how is the weather like in your area. It loads the weather data very fast and works like a charm. So, download WeatherPlus now and always update yourself with the latest changes in your local weather.